What a wonderful romance this book turned out to be! 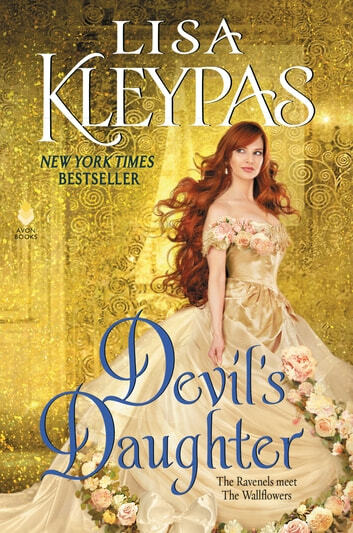 I have been a huge fan of Lisa Kleypas for a long time and this book was a perfect example of the quality of her storytelling. I was swept away by Phoebe and West's story. This is the fifth book in the Ravenels series but it works well as a stand-alone. Longtime readers of Kleypas will enjoy getting the chance to catch up with some well-loved characters. This is a book that I went into with incredibly high expectations and I am pleased to report that they were all met. Phoebe is a widow and mother of two young sons. At the start of the story, she goes to the Ravenal estate for her brother's wedding. Soon after arriving, her path crossed with West Ravenal and sparks fly. Phoebe knows that West is the one that bullied her deceased husband when they were children and has no wish to get close to him. Phoebe does need to learn some skills to help her run the estate that her son will inherit and West is more than happy to teach her what he knows. I adored West in the previous book in this series so I was thrilled to find that he would take the lead in this story. He was such a capable man and I loved how natural he was with Phoebe and her children. He was highly thought of by everyone but himself. Phoebe had been married to a very tame and proper man. She had always done her best to be a good wife and didn't ask too many questions. I really enjoyed seeing Phoebe start to reach for the things she wanted out of life and stop trying to meet everyone else's expectations. Phoebe's oldest child, Justin, was such a fun child and loved how big a part of the story he was. I thought that West and Phoebe were perfect together. The chemistry was there between them from the start of the book and it grew throughout the story. There were quite a few really hot scenes between the pair. I think that what I liked best about these two was how real they were together. They were able to show their true selves to each other and as they did their connection grew. I really enjoyed the scenes with Phoebe, West, and her children that illustrated how they were growing into a family. It was just a joy to watch these two find their happily ever after. I highly recommend this book to others. This was a fantastic romance filled with wonderful characters that you couldn't help but fall in love with. 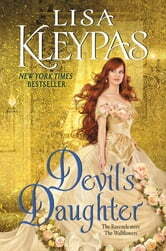 I can't wait to read more from Lisa Kleypas! I received a review copy of this book from HarperCollins - Avon. A much anticipated story from one of my favorite romance authors. The primary characters who were introduced in earlier stories were already well developed and memorable. This story delves deeper and unites two very charming souls. Wonderful writing. Wonderful story. Enjoyed reading. 1 enjoyed this book very much. The latest in the Ravenal series it is been a happily readable historical family. Phoebe is widowed and meets her imagined nemesis at a family wedding. Proximity ensues and hes not as horrid as she imagined. Contains adult humor. Conversation with all ages and an hea. Ive read at least 15 of both her contemporary and historical.enjoyed them all.